NEPMA holds training programs twice a year, the Spring Training Program & Exposition and the Fall Training Program & Exposition. The fall training program is a one-day event and attendees can choose which day or both that they want to attend. The spring training program is a one-day program. These programs are held in different geographical locations within our area. Fall Training Seminar & Expo, November 7, 2019. Check back in early Summer 2019 for program and vendor information. Click here for the WDI Report (NPMA 33) forms that can be ordered from NPMA through their bookstore. 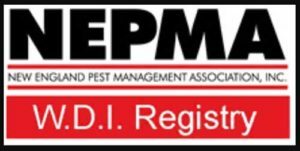 NEPMA offers an intensive coaching program designed to assist you as you prepare your pest control professionals to take the MA CORE Exam. Two programs are scheduled for this spring all given close to expected Core exam dates. We know how important it is for you as an employer to make sure that your employees are well-prepared to take the exam and earn their Core license. This program is designed to supplement your in-house own exam prep training. Click here for a PDF of the paper registration form. Click here to order the Core Manual (3rd Ed.) with MA Core Supplement (2014) or call UMass Extension Bookstore at 413-545-5537. Click here to access the Chapter 132B (MA Pesticide Control Act) or call the UMass Extension Bookstore at 413-545-5537. Click here to access the 333CMR (Code of MA Regulations) or call the UMass Extension Bookstore at 413-545-5537. For information on the WDI Program and upcoming trainings, CLICK HERE. This program is designed to recertify anyone whose W.D.I. certification expires on or before December 31st of the current year. This recertification will be valid for the next three years. Attendees join other industry professionals for technical education from national and regional industry speakers. In doing so, they earn valuable CEUs. Attendees also hear about innovative insights, benefit from industry networking and have the chance to learn about the latest products and services. Each training program has an exposition hall where industry suppliers are invited to purchase a table top to promote their products and services. There are additional opportunities for these companies to promote their products and services by purchasing ads in the program book as well as sponsoring our national speakers.